For our family, something that sets apart the holidays from regular days is extra special breakfasts. At Christmastime, that means Rudolph Pancakes, and our kids absolutely love them. We like to make them on Christmas Eve morning—they’re festive and fun, and perfect for the day before Christmas. 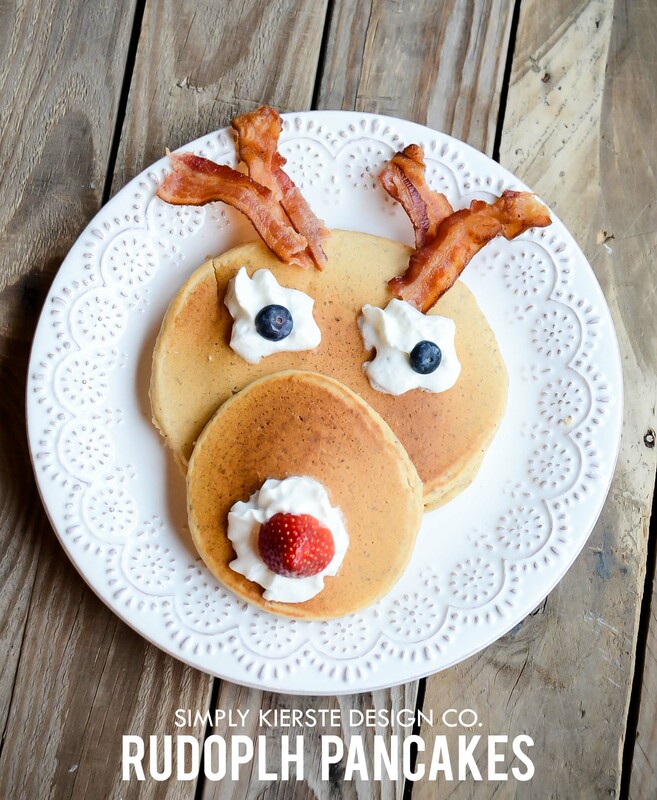 Cute bacon antlers, a strawberry for the nose, blueberry eyes, and dollops of whipped cream to hold it all together go on two pancakes to create the cutest and yummiest reindeer ever! I use my dad’s pancake recipe–the one I grew up with–and I’m sharing it below, but you can absolutely your favorite pancake recipe as well. I love that I can also easily make them gluten-free for my daughter. You just need a few things…pancakes, strawberries, blueberries, whipped cream, and bacon! Mix dry ingredients (flour, salt, baking soda) together in a large bowl. In a separate bowl, mix together the wet ingredients (buttermilk, beaten eggs, butter). Add the wet ingredients into the bowl with the dry ingredients, and stir only until combined--don't overmix. Griddle at 400 degrees--heat before cooking pancakes. Lay one larger pancake on the plate, and then place one of the smaller pancakes on top, toward the bottom of the larger one. Add dollops of whipped cream for the eyes and the nose, then put the berries on top—blueberries for the eyes, and a strawberry for the nose. Break the bacon into pieces, and use two for each antler, angling them outward. Rudolph Pancakes…so fun, festive, and YUMMY!! 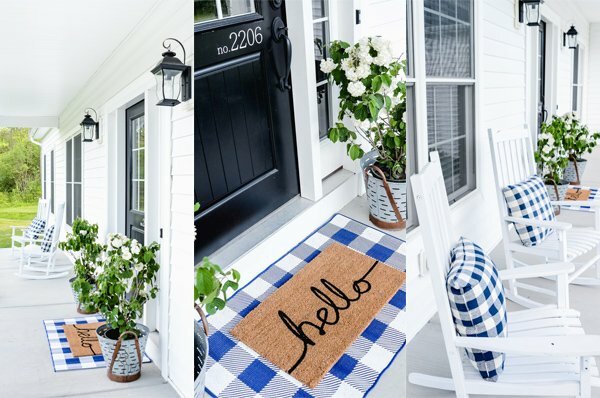 Easy and simple to make, yet it looks so cute. I bet the kids will love this for Christmas. Thanks for sharing. Before I even read the post, I e-mailed it to my daughter who has a 12 year old; boyfriend has an 8 and 12 year old and EVERYONE loves bacon! How adorable. I am the world’s best maker of lopsided pancakes so maybe my deer will look like he’s got the mumps! I like whipped cream on pancakes even better than syrup! In a pinch, I bet frozen berries would work OK, too! Wouldn’t these be a hit at a hunter’s breakfast; everyone gets a buck!